Why the heck is Kell Hall not demolished yet? This 93-year-old building is soon to be demolished. The question is: when? Georgia State’s oldest building is nearing the end of its life, with years of delayed plans and uncertain deadlines in the past. 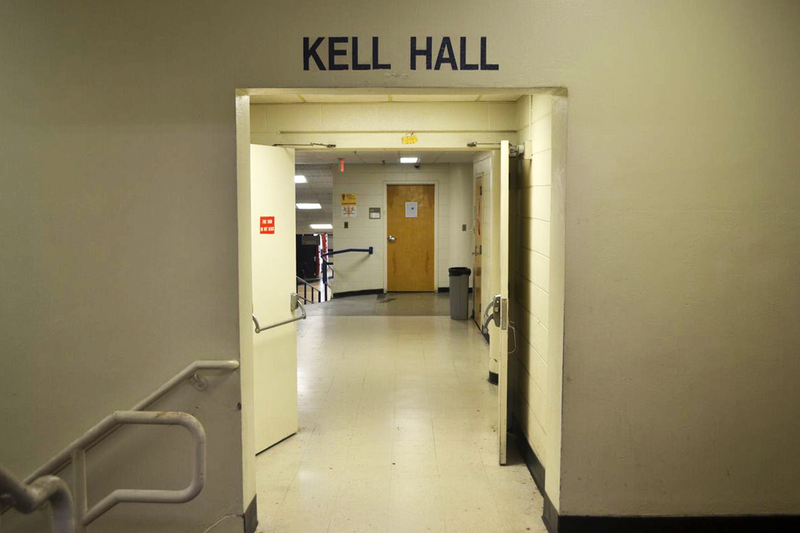 Kell Hall, the university’s oldest and arguably now most infamous building, is slated for demolition beginning sometime in March. The project was first proposed by University President Mark Becker in 2013. Now, six years later, the project is finally nearing its execution. The greenlight to begin tearing down the renovated parking deck was given by the Board of Regents before, and now there are only a couple more steps before demolition can begin. Before anything moves forward, the university must compile an Environmental Effects Report which serves to assess the impact on the surrounding nature and soil. “[An] Environmental Effects Report is required for state funded demolition projects to identify potential impacts on natural, physical and cultural environments. We are retaining an external consultant who is qualified to prepare such a report,” Vakamudi said. Once that is completed, the next step of the project will begin: getting approval from state offices. “Once completed we will send it to Board of Regents along with our demolition request letter for approval,” Vice President for Facilities Management Services Division Ramesh Vakamudi said. The new year brought in newly elected Governor Brian Kemp, who is now tasked with signing off on the project before the University System of Georgia and Board of Regents can give Georgia State the all-clear to begin bringing in the wrecking ball. “It is my understanding that BOR staff will send the necessary [paperwork] to the Governor’s Office for his sign off,” Vakamudi said. Because of this, it will still take the two months before students will see the machinery and hear the demolition and subsequent construction of a green way. After the university gets approved, it will hire a contractor to execute the plans for demolition. The contractor will also work with the university to determine the best way to keep pedestrians safe in the high-traffic areas outside of Kell Hall. “[We] will develop and finalize the pedestrian safety plan for the entire Kell Hall area in collaboration with the demolition contractor. We should have contractor details confirmed by mid-February. All the occupants and departments are relocated from Kell Hall and it currently closed,” Vakamudi said. Kell Hall will also have to undergo a historical survey before anything can be done, pushing the date back even more. It is still unclear when the official date will be that the $7.7 million project will officially begin, but it will most likely be done by the 2020 academic year.